With the evolution of the education system and education becoming more goal-oriented, students are facing more challenges than ever. 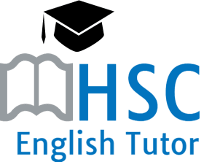 As educators in the industry, Master Coaching offers HSC English tutoring as well as all other HSC subjects to help the students secure best marks during their HSC examinations. We offer extensive programs to all our students for HSC standard, advanced and extension 1 English courses and across a range of subjects. The HSC syllabus and requirements can often seem overwhelming for students. All students benefit from support and guidance in order to develop their observations and literary insights. Here at Master Coaching we aim to help students to explore their own understanding of literature and writing and lead them on the path towards becoming eloquent and confident writers. As educators Master Coaching offers HSC English tutoring as well as other HSC subjects to help the students develop their skills and achieve their best result during their HSC examinations. We offer extensive programs to all our students for HSC standard, advanced and extension one courses across a range of subjects. All our tutors are experienced and practising senior teachers with hands-on knowledge of the assessment guidelines and the examination procedures in the New HSC syllabus. Are you aware of the HSC English syllabus changes? At Master Coaching, we always remain updated about every single change related to the courses and the subjects so that the students never face any difficulty at any point of their studies. Our tutors design the courses according to the student’s potential and strength to offer precious skills and knowledge. The weaknesses of the students are worked on simultaneously to make their HSC studies effective and successful which indirectly boost their HSC results. What are the changes in the HSC English Syllabus? The prime focus of the new HSC English syllabus is how to prepare the Standard, Advanced, and Extension 1 course. Our HSC English tutoring sessions are exclusively designed according to the requirement of the new syllabus. For instance, in the standard course, you have 3 prescribed text studies instead of 4 as per new syllabus. But, in the advanced course, it’s 4, without any changes. The reading to writing remains same in both standard and advanced English that is the transition to senior English. In the Standard English course, the preliminary course includes a close study of literature and contemporary possibilities, whereas, in advanced English course it’s the critical study. According to the new syllabus, a new module is added for both standard and advanced English courses, and that is Text and Human Experience. It is a comprehension-based section focuses on human nature, behaviour, humanity, universal experience as conveyed through literature and source material. For the English Extension students, a research component has been added which requires in-depth research. Our tutors understand all the changes that have come up and prepare the students making them more confident and focused. Why Choose Master Coaching for HSC English Tutoring Sessions? Our HSC English tutoring programs are tailored to suit the needs of individual student’s particular challenges they face in English. Whether basic skills or creative and essay writing, our English tutors are highly experienced to guide them and bring a sense of accomplishment within the students. We get into an analysis and discussion mode to help the student articulate their understanding to recognise, interpret, and respond. From grammar to comprehension skills, reading to presenting skills, our HSC English tutoring sessions help the students feel confident and poised.